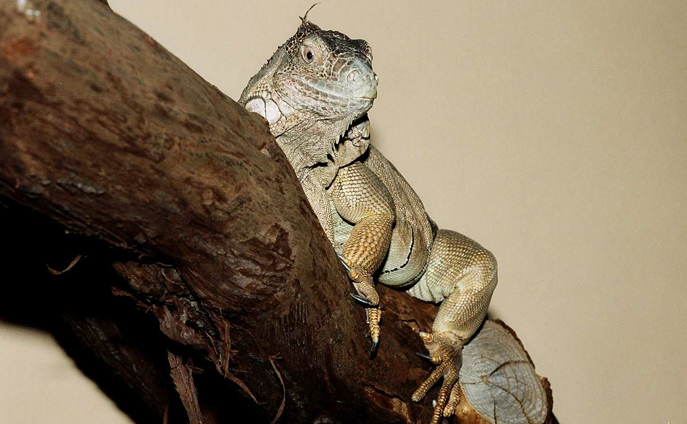 The iguana hides from its enemies within the dense canopy of leaves. They also prefer to hide on branches that overhang rivers and streams, so that if found, they can dive into the water to escape. They are strong climbers with long fingers and claws. This type of iguana has excellent eyesight.